Indoor pool controls add an extra component of convenience to your swimming pool experience. They are a welcome amenity for swimmers who use their pool year-round or for those who want to control functions of their pool during cold unpleasant temperatures. You can heat a pool or hot tub and know it is ready before you brave the chilly path between house and water. Lights, waterfalls, and other features can be actuated from the warmth of your home. Indoor or remote pool controls can also give you the power to manipulate amazing LED lightshows. LED technology allows you to choose from a multitude of colors and color-changing programs. This technology is far more energy-efficient, lighting the pool with nearly the same lumens as traditional bulbs while using a fraction of the wattage they use. While indoor pool controls can manipulate a variety of functions, they also come in a variety of configurations. You may prefer a panel hardwired to a wall in your home, a dedicated wireless device (many of which are water-resistant), or a web-enabled system that allow you to control your equipment from a smart phone, tablet, or almost any device connected to the internet. With this last option, you can turn on your spa and heater from your office or while taxiing at the airport and enjoy the spa as soon as you arrive home. Our knowledgeable controls technicians can offer recommendations and even previews of options that best suit your needs. Select Pool Services personnel have installed and maintained indoor pool control systems from Dallas, TX, pool owners for almost 40 years. We fully evaluate your pool’s current system, your desired outcomes, and the systems that will best function with your pool equipment. The result is the maximum amount of control and customization available and suited to your needs. An indoor pool control system makes a luxury convenience even more enjoyable. 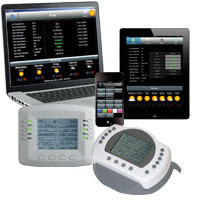 Contact us today to arrange an indoor pool control consultation.